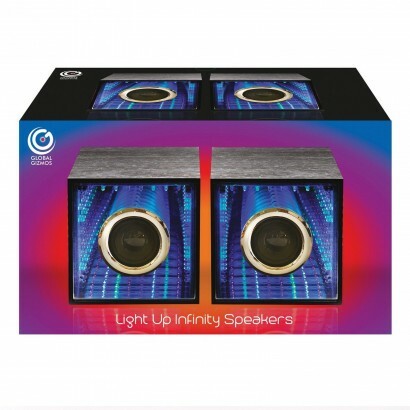 With outstanding sound and a mesmerising light show, infinity mirror speakers bring your music to life with endless tunnels of pulsing light! 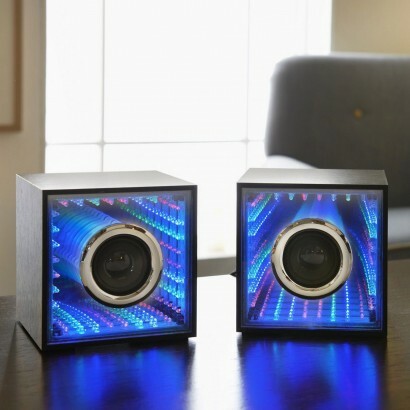 Lit by a whopping 32 LEDs per speaker and with clever mirrors, these funky speakers create a unique disco effect with tunnels of light that go on for ever and pulse to your music too! 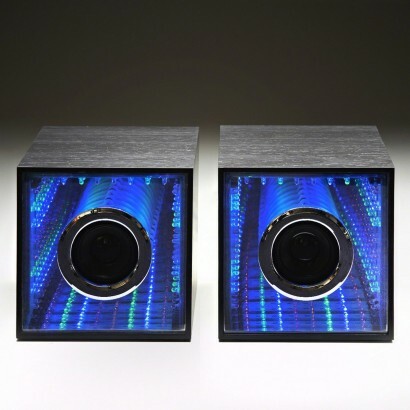 Compatible with MP3 & 4 players, smartphones and tablets, simply plug into your headphone jack and create feel good disco vibes in your home!